A lifelong Western Washingtonian through and through, Ron Crowe has made his athletic mark both on the field and in the broadcast booth. Modern local sports fans know Crowe as the color commentator on the South Puget Sound broadcast team of Crowe and play-by-play man Carl Lambert. 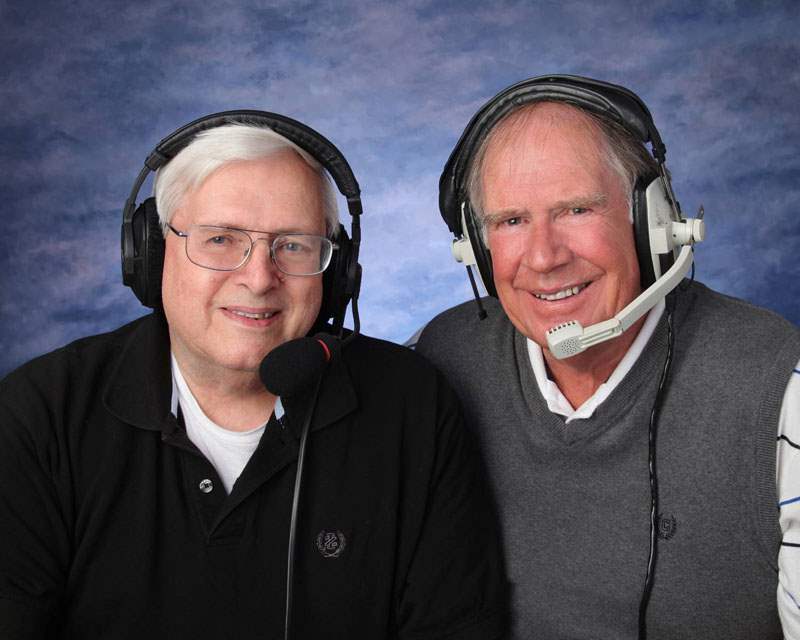 The duo has broadcast on numerous local stations over the years, including KUPY in Puyallup (before it became an all-Korean-speaking station), KMO (before it moved to Seattle) and KLAY. While that has been Crowe’s calling card for more than 20 years, he had a lengthy sports resume as a high school and intercollegiate student-athlete in the late 1950s. 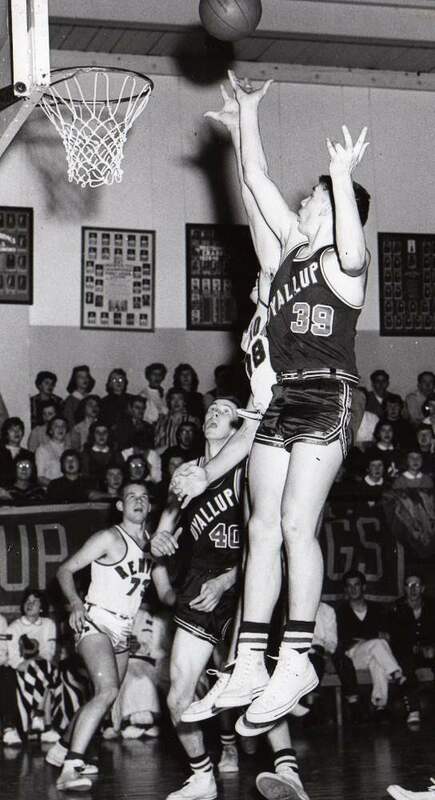 Born May 11, 1938 in Tacoma, Crowe was an all-state prep player in 1955 and ’56 at Puyallup High School. He led the Vikings to a fifth-place state finish while scoring 18.5 points per game during his senior season. Crowe headed to the University of Washington, where he played on the freshman basketball team and spent two years on the varsity squad before transferring to Western Washington for his final collegiate season. All it took was one year for Crowe to establish himself as one of the top players in team history at Western Washington. 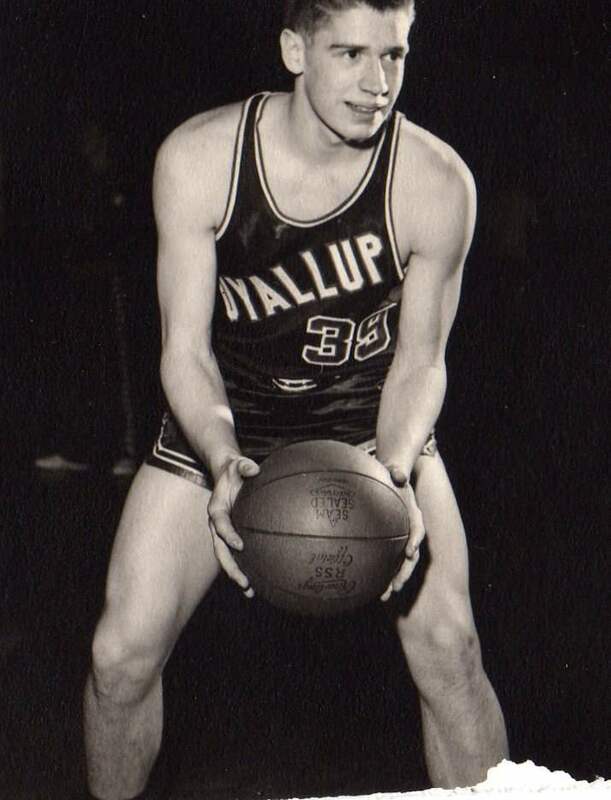 He led the Vikings to their first-ever NAIA National Tournament appearance in 1960, earning honorable mention All-America honors as well as Washington State All-Star and All-Evergreen Conference recognition. He set school records for points in a game and a season (averaging 20.7 per contest), along with a season record for made free throws that stood for 46 years. He established the Evergreen Conference scoring record and earned induction into the WWU Athletic Hall of Fame, as well as a spot on the school’s All-Century men’s basketball team. Crowe also spent some time in politics, serving as Puyallup’s only three-term mayor from 1984 through ’90. He owns Ron Crowe Insurance Agency. Puyallup HS-Features Billy joe Hobert and Damon Huard (1988) Billy Joe Hobert tossed pass to Damon Huard and then Hobert runs for a TD during the 1988 season for Puyallup HS. Carl Lambert & Ron Crowe King Bowl 15 (1991) (1991) Carl Lambert & Ron Crowe broadcasting King Bowl 15 in 1991. Puyallup HS vs Cascade HS of Everett.